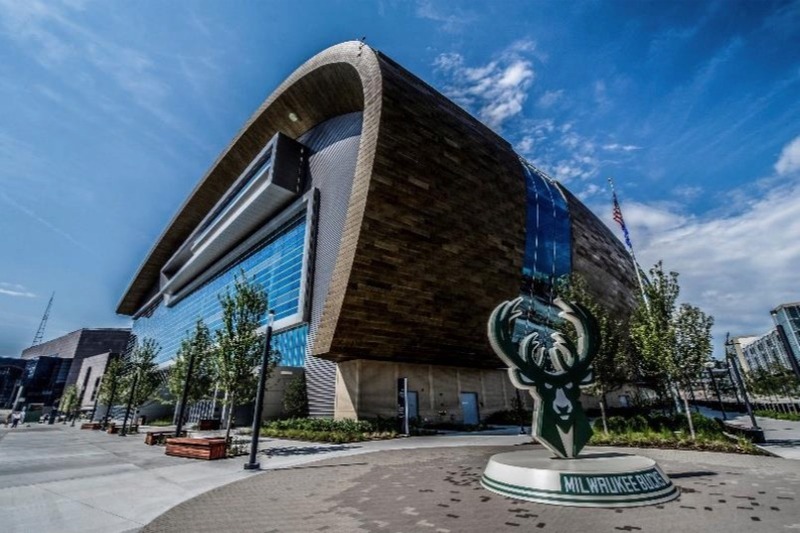 The U.S. Green Building Council (USGBC) recently awarded Leadership in Energy and Environmental Design (LEED) Silver Certification to Fiserv Forum, the new home of the Milwaukee Bucks, which opened in August of 2018. LEED is the preeminent rating system for design, construction and operation of high-performance green buildings. The US$524m Fiserv Forum achieved its Silver rating with its sustainable design and construction efforts that contributed to making an environmental legacy of positive leadership within Milwaukee’s downtown redevelopment. 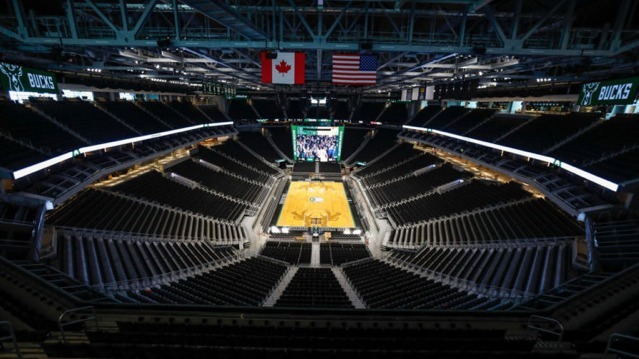 Debuted as the world’s first bird-friendly sports and entertainment arena, other Populous design characteristics which support Fiserv Forum’s LEED Silver rating include the utilisation of a 100 percent digital ticketing system offering a more sustainable, personal service, the usage of compostable food packaging and an ORCA digester to help reduce landfill waste, and restrictions on plastic straws, which resulted in the reduction of more than 143,000 straws to date. Additional sustainability efforts at Fiserv Forum include landscaping with native plants and implementing low-flow toilets and energy-efficient HVAC equipment. Fiserv Forum was built using high-recycled and reclaimed materials and regionally-sourced materials and the entirety of the building’s concrete and brick exterior is from the local Milwaukee community. Additionally, low-emission products help to provide healthy indoor air quality for staff and guests. Fiserv Forum’s district sits in a no-smoking neighbourhood and features pedestrian and public transit access with electric car-charging stations available in the parking lot. Fiserv Forum is one of many Populous-designed venues to achieve LEED certification recently, with Audi Field, T-Mobile Arena, ICC Sydney, Georgetown University’s Thompson Center, the University of Utah’s Jon M. and Karen Huntsman Basketball Facility and the University of Colorado Athletics Complex all receiving LEED certification in the last few years. 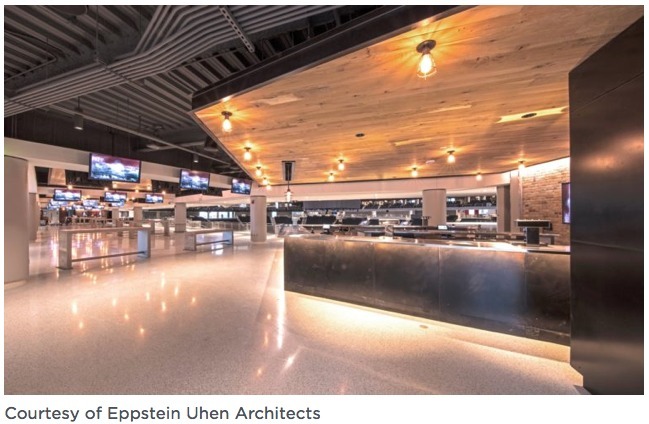 Fiserv Forum, Milwaukee’s much anticipated Populous-designed sports and entertainment venue, officially debuted as an NBA arena back in October, when the Milwaukee Bucks hosted the Indiana Pacers in their first regular season game of 2018. It is the first new sports and entertainment arena in Wisconsin since 2002. From the exterior’s sweeping zinc-clad roof that draws from Milwaukee’s waterfront and built heritage to the interior’s extensive gathering space which reflects the city’s penchant for socialising, Fiserv Forum tells the story of the city inside and out, representing a ripple effect for the urban renaissance of Milwaukee. To cater to Milwaukee’s social culture, Populous and local partner Eppstein Uhen Architects (EUA) designed the interior to offer something for everyone in terms of amenities, location and price, highlighted by three premier clubs: the BMO Club, Mezzanine Club and Panorama Club, which is on the highest level of the building and features an outdoor terrace with sweeping views of Milwaukee’s skyline. Premium seating in Fiserv Forum includes 34 private suites each with a 30-person capacity which can be connected up to six at a time or anywhere in-between; the West Bend Lofts, complete with two-person seating spaces which can be packaged together for group outings; and more than 800 club seats. As a cultural centre for the city, Fiserv Forum was designed to tie together Milwaukee’s natural beauty and history. Its wave-like roof was inspired by the current of the nearby Milwaukee River, and the 80,440 square feet of zinc architectural panels on the exterior evoke the warmth of wood from the region’s many forests. Fiserv Forum keeps fans connected to each other through more than 300 distributed antenna systems and 16 wireless access zones throughout the arena. 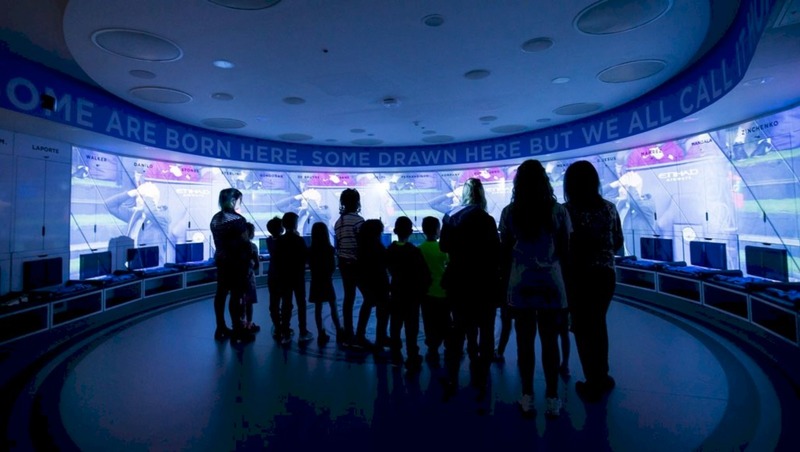 The arena features more than 12,000 square feet of video displays, including the center-hung scoreboard, more than 3,900 square feet in size, making it the largest equilateral centre-hung display in the NBA. Additionally, Fiserv Forum’s more than 800 high-definition flat screen televisions are the most in the league to ensure fans are tuned into the action whether they are in their seats or on the move.